SDTN is a unique organisation dedicated to developing practice-based drama training in Scotland. An SFC initiative, SDTN is based at the Royal Conservatoire of Scotland in Glasgow and is a network organisation of 19 further education colleges and higher education institutios who provide practical training in theatre, film, television and radio subjects. 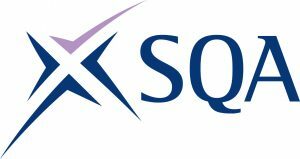 SQA, Scotland’s national awarding and accreditation body, works throughout the UK and internationally. We help individuals realise their potential and achieve their ambitions by providing a wide range of high quality, internationally recognised qualifications and associated services. Our Higher National qualifications, vocational qualifications and National Qualifications form the majority of education provision and training in Scotland’s colleges. SQA and CDN support the development of vocational qualifications in the college sector and meet the requirements of the Developing the Young Workforce youth employment strategy. SQA also responds to college sector needs with representation on planning groups and an active involvement in the network itself. Tree of Knowledge is an inspirational training company based in Dunfermline, Fife, who deliver motivational workshops within the education and business sectors. They passionately believe in the tangible benefits that first class motivational speaking, team-building and stress management workshops bring. An Entertaining, Enlightening and Educating revolution. In partnership with you, our unrivalled passion for making a difference allows us to entertain, enlighten and educate your people, delivering a learning experience they’ll never forget. We work to improve the quality of teaching and support for learners by developing the skills and expertise of our vocational workforce. We invest in the strategic vision and performance of vocational education, by developing great emerging leaders and excellent governance structures in colleges and beyond. We are a catalyst for sector innovation, by networking colleges and showcasing their expertise, connecting industry and education to boost economic growth, and empowering partnerships that join up the learner journey. Stand No. 5 Priority Management Priority Management has trained over 2.5m people in the last decade to Work Sm@rter. We teach people a proven to work, practical methodology which transforms the way busy leaders and managers plan, execute, communicate and deliver work. Everyone is challenged with too much work, emails, too little time and there’s an overabundance of technology which is meant to make life easier for us, but few know how to really optimise it. We teach life-changing processes, supported by new techniques to maximise how we use tools such as Outlook which in turn increase productivity and performance. 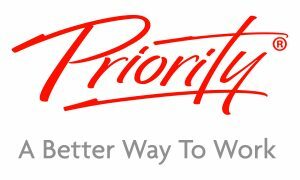 Our recent survey of 21,600 past attendees demonstrates a 59 minute per person per day increase in productivity. What could you do with another half day every week? • Compare your college’s data with others with our unique analysis which includes external benchmarking. Stand No. 13 Clevertouch Clevertouch is a market leading range of large interactive touchscreens, which have been designed and manufactured to the highest standard by an award-winning British manufacturer. Built with the simplicity of a smartphone or tablet, the Clevertouch suite of interactive touchscreens are powered by Android and come with a custom designed user interface, which enables users to present and interact with information as instinctively as the devices in their pocket. Stand No. 29 AoC Create & AoC Jobs AoC Create is part of the Association of Colleges – the national voice for colleges in the UK. We support colleges by delivering high quality and cost-effective education events; training & development; executive & management recruitment; interim management; strategic consultancy services and a dedicated job board. Stand No. 31 bksb bksb produce award-winning eLearning solutions for English, maths and ICT skills development which are used by 89% of FE colleges in England, and an increasing number in Scotland for Core Skills. Our assessments and learning resources have been shown to significantly raise skill levels, leading to improved success rates and inspection outcomes. Stand No. 34 Google for Education and AppsEvents Technology is transforming what’s possible in schools, colleges and universities – Google for Education provides innovative solutions to learning’s biggest barriers. We provide educators with powerful solutions that are affordable and easy to use. With our suite of devices, apps, and resources, you can easily bring the power of technology to your establishment. G Suite for Education is a suite of collaborative productivity and communication tools. Chromebooks are shareable, affordable devices designed for the classroom. Google for Education also provides free programs and resources to develop skills for the future. Stand No. 7 Cycling Scotland Cycling Scotland is a registered charity (SC029760) and a company limited by guarantee. We receive funding from Transport Scotland to bring cycling out from the fringes of everyday life and into the mainstream. We aim to establish cycling as an acceptable, attractive and practical lifestyle option. Stand No. 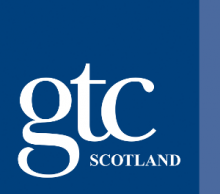 11 GTC Scotland GTCS is the independent professional body which promotes and regulates the teaching profession. Further Education lecturers who have been awarded a Teaching Qualification (Further Education) can choose to register with GTCS for a range of benefits including Teaching Scotland magazine and access to the online MyGTCS Professional Learning service. Stand No. 14 Disclosure Scotland Disclosure Scotland is an Executive Agency of the Scottish Government. By issuing disclosure certificates of various types, it helps employers to make safer, more informed decisions when they are recruiting. Furthermore, it administers the Protection of Vulnerable Groups Scheme, helping to ensure unsuitable people don’t work with children and/or protected adults. Stand No. 16 EPALE/Erasmus+ The Electronic Platform for Adult Learning in Europe (EPALE) is the go-to site for professionals and organisations in adult education. It is a free multilingual community platform with over 37,000 users from around Europe and the world. It offers access to high quality resources, networking opportunities, a partner search tool, a European adult education policy portal, quarterly online discussions, event and CPD listings, Communities of Practice and private Collaborative Spaces. Each month a thematic focus offers detailed insights from around Europe in addition to thought provoking content across our regular topics. EPALE is funded with the support of the Erasmus+ programme of the European Union. Erasmus+ funding offers UK participants the chance to study, work, volunteer, teach and train abroad. €170 million is available for UK-led projects across the schools, further and higher education, adult education and youth sectors in 2018. Could your organisation be one of the beneficiaries? Newbattle Abbey College offers a unique experience to students:• One of the few colleges in the UK where you can enjoy residential living. • Courses tailored to adults with few or no qualifications. • High quality support and extensive preparation for higher education. Stand No. 30 The Scottish Fair Trade Forum The Scottish Fair Trade Forum is the national membership network which exists to maintain Fair Trade Nation status for Scotland and build upon that achievement to embed the values of Fair Trade in all aspects of Scottish society. The Forum supports colleges in promoting and developing Fair Trade within their institutions. Stand No. 32 National Library of Scotland The National Library is Scotland’s largest reference library and is committed to working with college students, teaching and library staff to support research and learning. A range of e-resources are freely available and accessible remotely for people living in Scotland. Visit our stand to learn more about what the Library has to offer. • recognise other areas of learning that can help personal development and goals for the future. Stand No. 33 Project Trust Project Trust empowers young people to be confident, effective, creative, independent and resilient through challenging volunteering experiences overseas. As responsible global citizens, Volunteers make a positive difference to their overseas communities, sharing their learning when they return. Our experience is open to all young people with the desire, motivation and aptitude required to succeed. Stand No. 27 ITSI Education ITSI is an EdTech company that puts education first. We help colleges and educators to combine the academic rigour of curriculum content – commercially and college produced eBooks – with their own digital resources to offer a uniquely personalised experience for their students. Our patented solution helps to solve some of the biggest 21st-century challenges in education by: making learning visible, removing fragmentation, bridging the gap between traditional and cutting-edge teaching through researched-based practices and enabling learning anywhere, anytime. – from fishermen and processors to importers/exporters, retailers and food service providers. • The UK seafood industry offers a wide variety of careers for people from all backgrounds. At Seafish, we offer support, advice and guidance to individuals seeking a career in the seafood industry, from beginners to experienced professionals. Stand No. 26 NHS Education for Scotland NHSScotland is the largest employer in Scotland, with over 160,000 staff. NHS Education for Scotland provides education and training for these staff as well as information about recruitment and careers. Stand No. 23 Perth College UHI As the college and university based in Perth, we are proud to offer high-quality academic and vocational programmes in an extensive range of subjects. We are committed to supporting our students to succeed by focussing on gaining skills and knowledge that will launch their careers and open doors into employment. Stand No. 3 Tes Magazine and Times Higher Education Magazine Introducing school-wide access to Tes Magazine content. A Tes institutional subscription ensures that all your teaching staff have access to the latest research, teacher innovation and insight. From NQTs to senior managers, Tes provides the essential weekly intelligence for every educator to flourish. It’s the perfect package for leading educational organisations. Stand No. 25 Copyright Licensing Agency CLA are the recognised UK collective rights licensing body for text and images from book, journal, and magazine content. Our mission is to help customers legally access, copy, and share the published content they need, while also ensuring that copyright owners are paid royalties for the use of their work. Stand No. 17 Primary Engineer and Secondary Engineer Primary Engineer and Secondary Engineer work in partnership colleges, universities, schools, and industry partners to develop and promote engineering skills and careers with teachers and pupils in the classroom. Their range of programmes include teacher CPD and Master’s-level study, national competitions, and the Institutions of Primary, Secondary, and Tertiary Engineer. Stand No. 1 New College Lanarkshire Barbers There’s no school like old school! Come along to our NCL Barbers Stall and see some of the traditional barbering techniques first hand… along with some modern twists! Our talented students are looking to show off some of their skills so why not come and get yourself a free haircut! Stand No. 24 UNISON Scotland UNISON is the public services union and the largest trade union in Scotland. We represent members across local government, health, community and voluntary sector, higher and further education, Skills Development Scotland, utilities, emergency services, housing, and many other areas. This gives us an unparalleled overview of public services and those who deliver them. Stand No. 18 ILF Scotland ILF Scotland provides financial support to ensure over 3,000 disabled people in Scotland and Northern Ireland have the ability to live independently. The new ILF Scotland Transition Fund supports young disabled people aged 16-21 to improve their lives and to actively participate in their communities. Stand No. 19 Prowise Prowise is a leading UK-Dutch company that develops innovative, high quality and reliable digital education solutions. Our touchscreens, personal devices, lift systems and software allow us to make learning and collaboration more accessible, effective and enjoyable. More than 200,000 teachers in 16 countries; including most recently every primary school in Angus Council and City College Plymouth make use of Prowise Solutions. Stand No. 20 Smart Play Network Smart Play Network is the national charitable organisation supporting play services and play providers in Scotland. It’s our mission to provide children in Scotland with more opportunities for free play. We understand the importance of providing child practice students and professionals with high quality training that will help them develop practical play skills and knowledge. That’s why we offer bespoke play training for professionals and organisations, to broaden their knowledge of play and apply these skills for the success of their career and projects. Stand No. 9 Ajenta-Vscene Ajenta create simple, cost effective communication tools, specialising in building virtual classroom technology and telehealth platforms as well as corporate video conferencing platforms. Ajenta deliver Vscene video collaboration platform, developed in partnership with Jisc, specifically for the education and research sectors. Vscene enhances teaching and learning, supports research and collaboration. Stand No. 21 The Open University in Scotland We are the most popular university in Scotland for flexible, part-time study. Our high quality education is accessible to all, regardless of age, income, qualifications or geography. Working with our partners we can deliver personalised, supported open learning to a wide range of people at every stage of life.